Cheap phone? You got it, it's the Nokia 130! You are here: GeekSays Technology News » Microsoft » Cheap phone? You got it, it’s the Nokia 130! Cheap phone? You got it, it’s the Nokia 130! On a market dominated by expensive high-tech smartphones, there still seems to be room for a feature phone. And who else could made it, rather than Nokia? 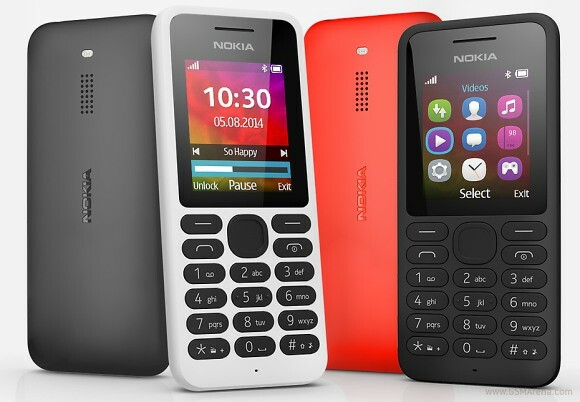 With a price tag of just $25, the Nokia 130 comes with a 1.8″ QQVGA screen with a resolution of 160 x 128 pixels, an alphanumeric keypad, an LED on the back, working as a flashlight…and that’s almost everything you can see on the exterior. The phone can support a microSD card up to 32 GB, meaning that you can easily us this phone as an MP3 player. Or you can just plug in your headphones and listen to FM radio. Still, the main feature of the Nokia 130 is, like back in the days, that this phone was built to last. Solid and good battery that is. We don’t know what to say about the ”solid” part, but according to the official specs sheet, the 1020 mAh battery can last 46 hours of music playback or up to 16 hours of watching videos. Well, we don’t know what you guys think, but we’re definitely considering the Nokia 130 as a back up phone. I mean c’mooon, 25 bucks for a brand new phone with a battery which can make it through a few days. Who doesn’t want this?